NOTE: In U.S. Navy parlance, all tankers (AOs) are officially termed "oilers," though unofficially the term is often used to describe only those AOs fitted to refuel at sea; others not so equipped and used to carry bulk oil from port to port are popularly referred to as tankers. This convention will be followed throughout this text. Well before construction was started on either ship, the decision was made to equip the Maumee with diesel engines, then a relatively new technology that appeared to offer better fuel economy than could be obtained from the best steam plant then available.6 This was the golden age for marine engineering--a time when the U.S. Navy was experimenting with a variety of new developments in engine technologies in an effort to find out which would provide the best performance. 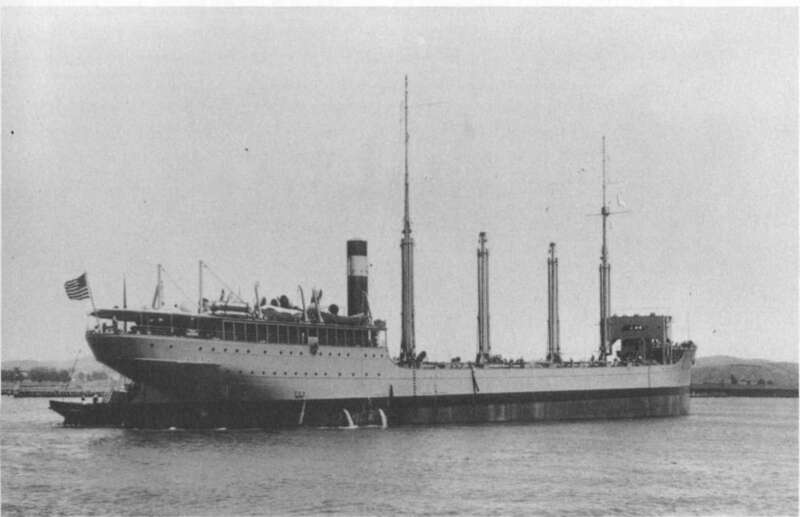 Placing diesels aboard the Maumee would afford an excellent opportunity of comparing the performance of this type engine with the conventional machinery then in common use, since the two ships would be identical in all other respects, would burn the same grade fuel, and were expected to be employed in the same type of duty. that could be gained from installation of new types of propulsion machinery. not unusual for a naval vessel such as the Maumee, which had a relatively small crew. 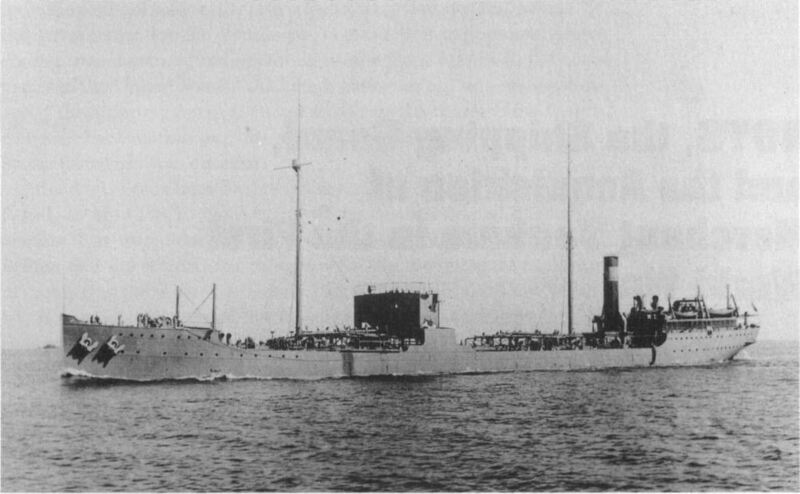 After an extended shakedown cruise (cracking of some cylinder jackets forced her return to New York Navy Yard), Maumee participated in fleet training exercises then being conducted in the Caribbean where she was actively engaged in the business of delivering oil and water to all types of vessels, both large and small.16 Under the doctrine then in effect, fueling between ships at sea was conducted only in protected waters while both vessels were moored together. As the crew gained proficiency in the use of the Maumee's specialized fueling gear, the officers on board began to discuss the possibility of refueling ships at sea while under way and made tentative plans to test this concept. However, the ship was much too busy supporting the fleet to conduct experiments at sea. 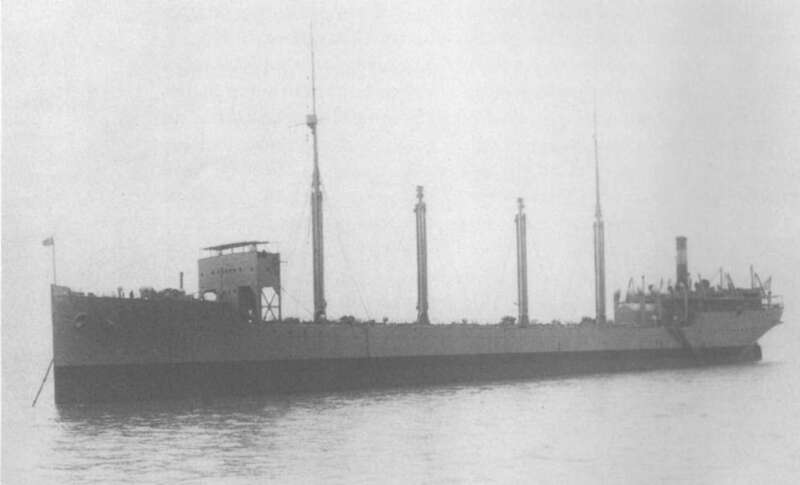 only a matter of time before the United States would be drawn into the conflict then raging in Europe and the problem of getting destroyers across the Atlantic may have been foremost in the minds of the Maumee's officers as they worked out the details of the means proposed for refueling these short-legged warships. Nimitz, who was officially mentioned for his role in preparing and operating the gear employed by Maumee, credits Dinger, whom he characterized as a "superb seaman with a strong engineering background," for the concept, design, and execution of the fueling-at-sea technique used by the crew.23 Dinger later suggested that it would even be practical to eliminate the towing lines, letting the fuel ship maintain a steady course while the destroyer adjusted her speed and helm to stay abreast of the fuel ship. His observation that "this would require very expert judgment and most constant watchfulness" would prove to be most fitting.24 Remarkably, the procedure developed on board the Maumee, less the towing lines predicted by Dinger, was essentially that which would be used by the U.S. Navy in World War II--although it would be many years before the methods developed by Maumee were accepted as standard doctrine. additional trips to Europe to refuel U.S. naval units, her days of glory were over and she was decommissioned in June 1922--most probably because her engines proved extremely difficult to maintain. the war. Twenty years would pass before he would again become involved in the development of fueling at sea in an unexpected though important role, the description of which will be saved for later chapters. SOURCE: Navy Yearbook 1916, 480-82.
in the Naval Appropriation Act of 1916 were retained, their construction was delayed until the end of hostilities and they were not completed for a number of years. 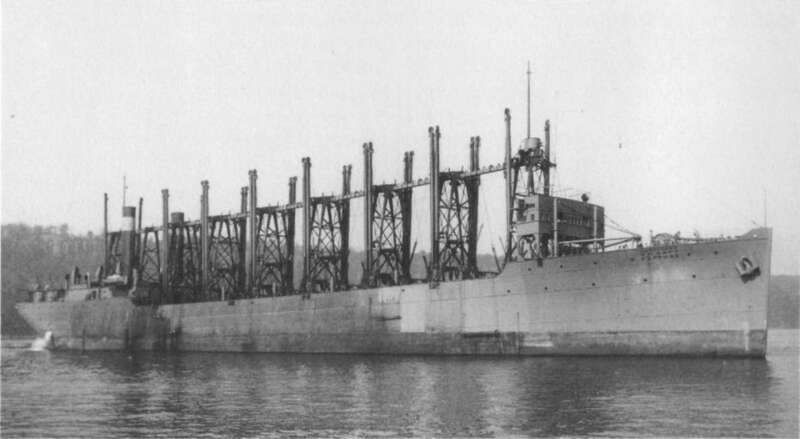 The last to be built, Pecos, was finally delivered on 23 April 1921--more than two years after the armistice and five years after she was first authorized. Commissioned on 25 August 1921, she was assigned hull number AO-6 and immediately entered service with the fleet where she was to serve for the next twenty years.